About "Different problems using algebraic identities"
Here we are going to see some different problems using identities. By comparing these two equations coefficients of x², x and constant are equal. 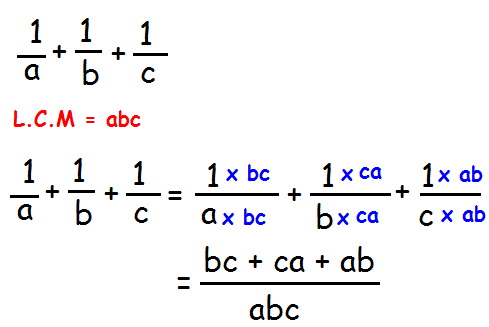 To find the value of (1/a) + (1/b) + (1/c), we have to find the least common multiple of denominators. To find the value of a² + b² + c², we have to use the algebraic identity of (a + b + c)². After having gone through the stuff given above, we hope that the students would have understood "Different problems using algebraic identities".